In today’s design-centered society, web design is transcending the quadrants with the growing range of users. We’re seeing a higher adoption of technology and interactive devices among the youngest generations than ever before and a boom in apps and brands targeting younger users as a result. Web and app design as we know it has changed and it should be in the interactive designer’s best interest to design for different age groups. But what’s the best way to go about web design for kids? In this post, we’ll discuss how to design for children using prototypes and testing those designs with the right audience. Think web design for kids is easy? Think again! We’ve previously written about the importance of empathy in user-centric design, but when it comes to designing for youngsters, it can be tricky for designers to see things from a child’s perspective. User research, testing and user observation are the essence of acquiring thorough knowledge of your audience, and is particularly important when designing for kids. Mutual Mobile Senior UX Researcher Becky White offers some fantastic advice on user research for kids. She emphasizes the importance of determining the target age range for your design, explaining that there are huge development differences between four, six and eight-year-olds. As you start to design and develop your app, iterative testing should be a constant. Testing early on in the prototyping phase of the design process will allow you to avoid errors further down the line, as well as enable you to bring the target user to the forefront of the process; exactly where they should be! Without this step, you’ll be missing vital information related to one of the toughest user groups to design for! When it comes to observing young users during the user testing phase, there are loads of variables to consider. As User Advocate and principal of the Nielsen Norman Group Jakob Nielsen points out, there are several fundamental differences between child and adult users. It’s not a case of simply adding bigger font, shorter words or more images to satisfy the demands of our young users. You’ll need to take note of gender as well as age when it comes to testing your content, functionality, interactions. Other factors to consider in web design for kids include whether children are playing/working indoors or outdoors and whether they’re interacting with the site or app on their own or in a group as well as cultural traditions, economic power, and family values. Participatory design, which brings the user into the center of research and development, is a great way to get immediate feedback from young users who need a little more guidance. A couple of ideas include having your young users teach you how to play a game, or navigate an app. This will help you determine whether they’re really able to engage with it. Other great group testing for kids involves interviewing kids in friendship pairs/groups who know each other well and can discuss between themselves on an experience that they’re sharing. Define clear objectives: remember that whilst some young users are going to prefer getting stuck directly into the app, others will require some kind of instruction. When engaging in participatory design, you’ll be able to guide your users. But remember that it’s the site that needs to offer assistance, rather than prompts from your research team. Promote a casual and fun atmosphere: make sure that children feel part of the process to help ensure that they are enjoying the experience. Engage kids in group activities as well as individual tests to see how multi-player-friendly your site really is. Invite the grownups to join in! Are they actively participating or are they supervising? 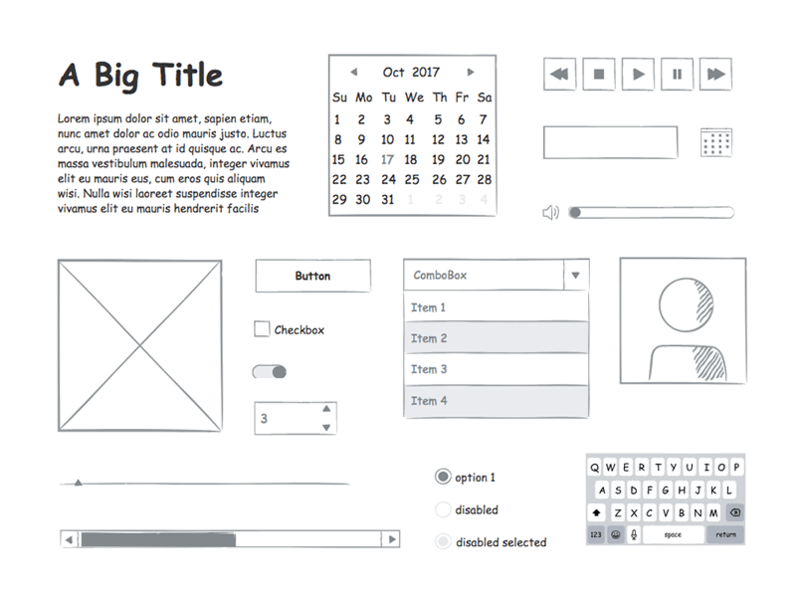 By using a prototyping tool for web design with kids, you can test and validate your design model. You’ll be able to have your young testers try out the website or app directly on the device that your final product will appear on and you can learn about their user behavior patterns. When it comes to designing for youngsters, the more realistic the better! The great thing about testing at the prototyping phase is that it’s a fail-forward tool, so no matter how the users perform, you’ll learn loads about their behavior. Depending on their age and development stage, kids require different degrees of stimulation, confirmation and feedback from an app. An overriding factor in web design for kids of any age is to make sure that they can engage with the app. Remember, those short attention spans! Learn more about prototyping with middle schoolers here. Maintaining an uncluttered user interface (UI), using bright, exciting colors and including animation, interaction and sound in your design could help to keep kids engaged. 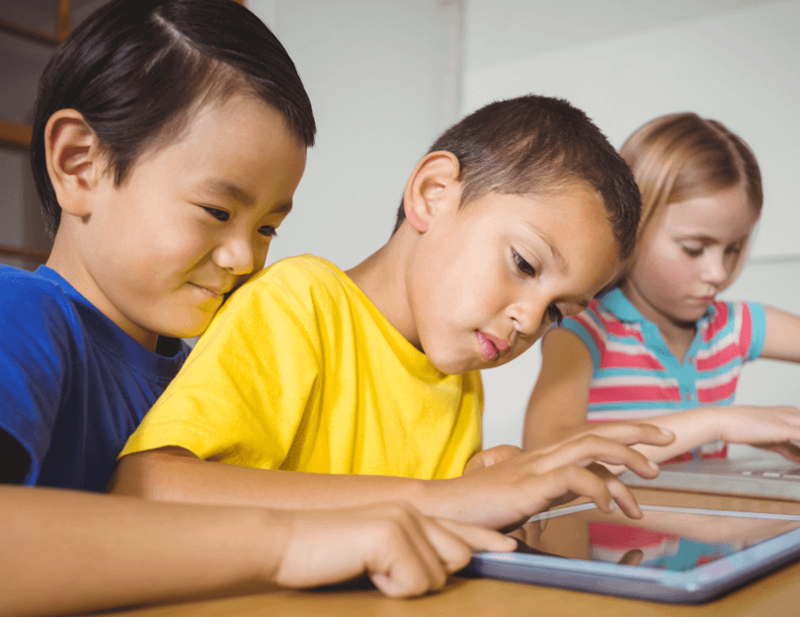 Becky White’s article offers guidance on the importance of affordances and feedback that you absolutely must consider when design apps for children. She explains that it is essential to be explicitly clear about what UI elements are interactive and which kids shouldn’t expect to react to their touch. For example: “buttons could have a simple white outline or drop shadow; interactive background items should wiggle, sparkle, or draw the user’s attention somehow.” She also suggests adding muting colors in non-interactive sections of an website or app for younger users who need a little more guidance. The Disney Puzzle Book apps do this particularly well. When it comes to very young users, it’s just as much about physical development as it is emotional that you’ll need to cater for. As Becky points out, very young children without fully developed motor skills, can’t use their hands the way adults can. As such, it’s important to test out events and mobile gestures from as early on as possible in the design process to ensure that your target age range can engage them effectively. If kids find a way to navigate a game, or educational app, they are even more likely than adults to stick with it. This is what we refer to ‘learned path bias’. In web design for kids, consider designing for a narrow age range, as each group is a world apart in terms of behavior and ability. This should make it easier to maintain a consistent user experience throughout the app, and allow users to develop a learned path bias. Use a prototyping tool that allows you to define functional scenarios to help you map out the user flow. This will help you to understand the route options available to the user and might push you to close a few gaps or widen them, depending on your target audience! With a prototyping tool like Justinmind, kids can get involved in the design process. With a drag and drop canvas, the tool is intuitive and easy to use. Kids can get involved, adding images, pics and ready made templates as well as cool interactive features – like swiping, tapping and zooming gestures – to build designs that actually work in real-time. One feature they’ll love is the Sketching UI kit, with over 100 different components to help them create digital sketches. It’s all code-free! When it comes to web design for kids, it’s great to embrace risk, as long as it pays off! By incorporating prototyping into the design process, you can take as many risks as you like and test them throughout before moving on to development. Justinmind offers an intuitive, low to high-fidelity prototyping platform that’s easy to get started with and also child-friendly! Download us today and check out what we’ve got in store for your design needs!